You can't read anything about Future these days without feeling a bit like you've tuned into a soap opera still going a few seasons past its prime. As the dominant media narrative would have it, the Future we’ve heard from in recent years has been little more than a ghost at his own feast—a codeine-addled wreck of unresolved pain and blunted depression lumbering around in the wake of his famously troubled 2014. If this is reductive, it's also basically true: even as he released an acclaimed trilogy of mixtapes and one great LP, he proved unable to achieve any distance from either the Ciara relationship narrative or the depressive addict persona it birthed, and biographical drama has continuously threatened to overshadow his music. By 2016, the complaints started pouring in: he's repeating himself, he's gotten stale, he's not saying anything new, the tracks all sound the same. And they weren't wrong, but what did you expect? Ghosts aren't tasteful eclectics, they're loops doomed to circle endlessly around a point of trauma. Which brings us to FUTURE and HNDRXX, the two albums he dropped this February, both covers literally adorned by an image of the man as a wraith. Perhaps an exorcism is in order? If fans were pining for such an act of violent reinvention, FUTURE was a deflating anti-climax. At least EVOL and Purple Reign, holding patterns though they were, maintained the hit quotient. FUTURE, on the other hand, doesn't even make an attempt at a ‘Wicked’ or ‘Low Life’, instead diving headfirst into 17 tracks of the most predictable boasts and beats in his career. And yet...it works on some level. As an underwhelming palette cleanser, perhaps, but with all his post-Ciara bitterness having ossified into the lazy habit he exhibits here, Future suddenly appears to be free of its devastating emotional pull. Tracks like ‘Mask Off’, with its infectious flute motif, and ‘Draco’, with its twinkling star synths, feel unburdened by the meta-narrative in a way his music hasn't in years, and the repetitive production is attractively familiar. (Side tangent: while Future-affiliated beatmakers like Metro Boomin and Southside have certainly gotten their share of the spotlight, mainstream writing on trap has a tendency to overlook or undertheorise the beats as a perfunctory canvass for the MC's vocal gymnastics. This is an oversight. Like an Atlanta version of krautrock's motorik groove or jungle's ‘Amen’ break, trap's readymade formula of rattling hi-hat and droning low-end generates the depersonalized plane of consistency against which that slew of new vocal experiments can be deployed. Even in the absence of substantive vocal invention or unique ideas, as on FUTURE, the style works as a barrage of electronic texture to borrow into. If you don't quite hear it that way, play it much louder. The kids get it, and it won't be going away any time soon.) More of the same, then, but a productive kind of dead-end, clichés run hard into the ground. The next record would HAVE to be something different, surely? Then, rumors of a quick follow-up LP, a collection of "more rhythmic-leaning and radio-friendly" tracks, titled HNDRXX, to be released just a few days later. I imagined this might be Future's fated step into a new phase, a definitive move outside the lean-guzzling sad sack persona, but it's not quite so clean a break. In a pre-release interview, he called HNDRXX "the album Honest was supposed to be," which bears some unpacking. Back in 2013, when he teased his then-upcoming second album as a passionate, R&B-flavored expression of his personal life, his story was dominated by his high-profile engagement to Ciara. By January 2014, he had bowed to label pressure and nudged the LP away from that romantic headspace and toward the club. The result felt compromised: "I was just using it as a title instead of actually being honest in the music." Then came the collapse of the relationship, and things were left unsaid. Two years of emotional wreckage later, HNDRXX couldn't possibly be a resurrection of Honest-era Future—that moment's long passed, the memories permanently tainted. At first, HNDRXX hits like a breath of fresh air. It's the slickest, spaciest project he's released since Honest (which was always underrated), and sits far left of the trap rigor mortis of the self-titled record. It opens with our antihero wandering back to his old trophy collection, over otherworldly vocal accompaniment, to assure Ciara she's still there, eternally his “possession”: But he sounds neither triumphant nor particularly spiteful so much as aware of how silly the claim is after all that's transpired. He offers us “a trip to paradise,” then chuckles knowingly. There’s space here (sonically and thematically), a crucial distance from the trauma that he'd, until recently, only confronted in pained tones. And from there, HNDRXX launches into an unexpectedly upbeat and bubbly places, the second half even verging unsettlingly close to sunny love-man R&B cliché, Rihanna collaboration and all. Budding romance is everywhere. By and large Future sounds....happy, which confuses a bit. The gorgeous electro-soul of "Use Me" and the summery theme park pop of "Incredible" border on full-bodied devotional ballads—but to whom? Could 2014 have been so suddenly forgotten that he's already moved on? An alternate explanation suggests itself with the closer, a stunning 7-minute epic called ‘Sorry’. Sunk in a doleful, reverb-drenched pianoscape, the production breathes cold and sketches out an eerie, isolated space—the inside of a vacated house at dusk, say, layers of dust settled on old, abandoned picture frames. You can imagine Future walking back through the deserted rooms and up staircases in the fading light, navigating an architecture of memory and regret made clearer by the passage of time. His lyrics cycle through a laundry list of sins, reflections, and tempered pleas for forgiveness, but he no longer sounds tortured or self-medicated, as on ‘Codeine Crazy’; the sadness here is sober, quietly mournful, conciliatory. He seems ready to give up the ghost. After years of bleary transmissions from the other side, "Sorry" is his autobiography—a trapper's ghost story. 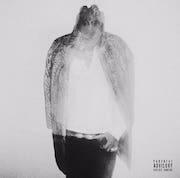 A new portrait begins to emerge of HNDRXX as a sort of subliminal concept album about the Ciara relationship, a drifting tour back through the memoradelic corridors of Future's haunted house. Perhaps those joyful love songs don't describe recent events at all, but recovered moments excavated from the fallout of the breakup, an angle that certainly corroborates his connection of HNDRXX to Honest. One of the album's first lines is "If we never speak again, I'm just glad I got to tell the truth,” and there's certainly a sense that, for the first time, he's permitted himself to wade back through the full variation of experiences from that failed romance, and reached a kind of closure. So I'm inclined to see HNDRXX less as a new step into uncharted aesthetic space (it's definitely not) and more as a fitting end of this chapter in his career, the bloodletting he's been inching toward for some time. And if that's the case, we can expect Future to start brandishing his auto-tuned croon into the service of music that’s freer and weirder soon. The burden of his past finally thrown off, perhaps he’ll even show us something resembling his namesake.